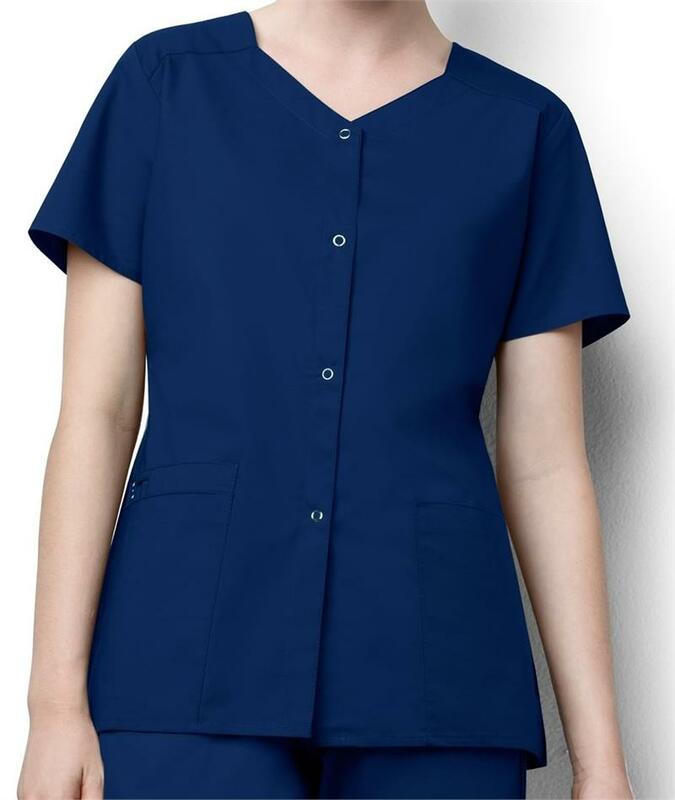 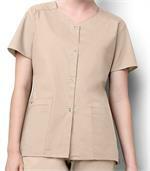 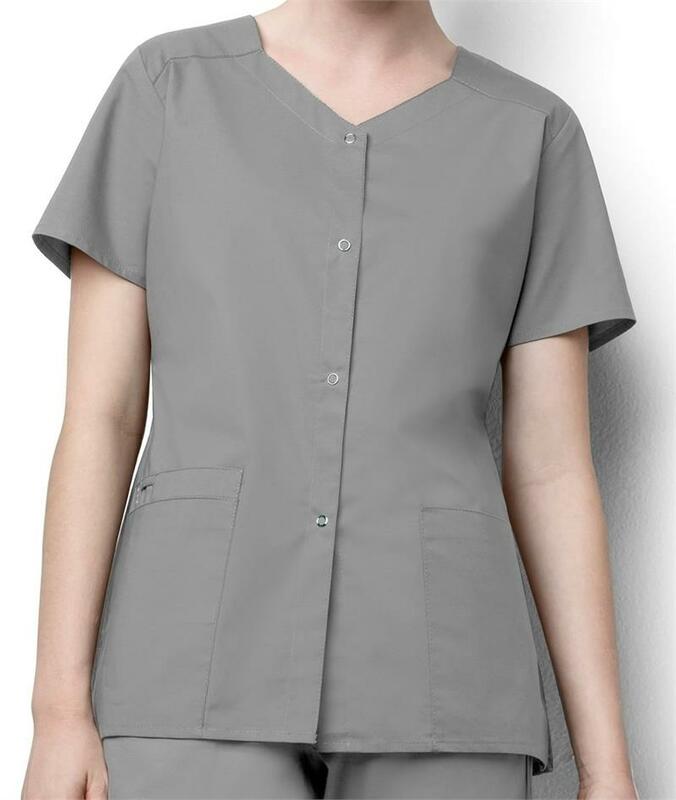 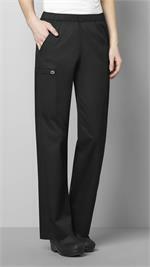 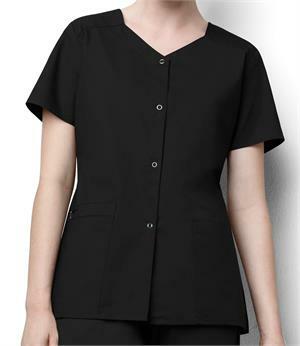 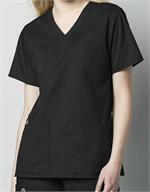 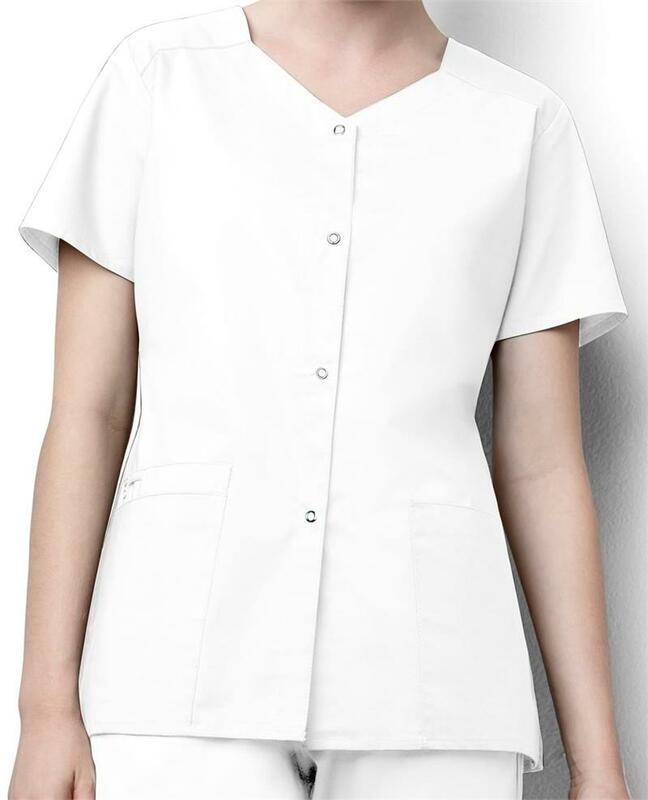 This women's classic fit short sleeve snap front top features two large front patch pockets, one pen pocket, one cell pocket, front snaps, utility loop, and vented sides. Made of 65% polyester / 35% cotton. 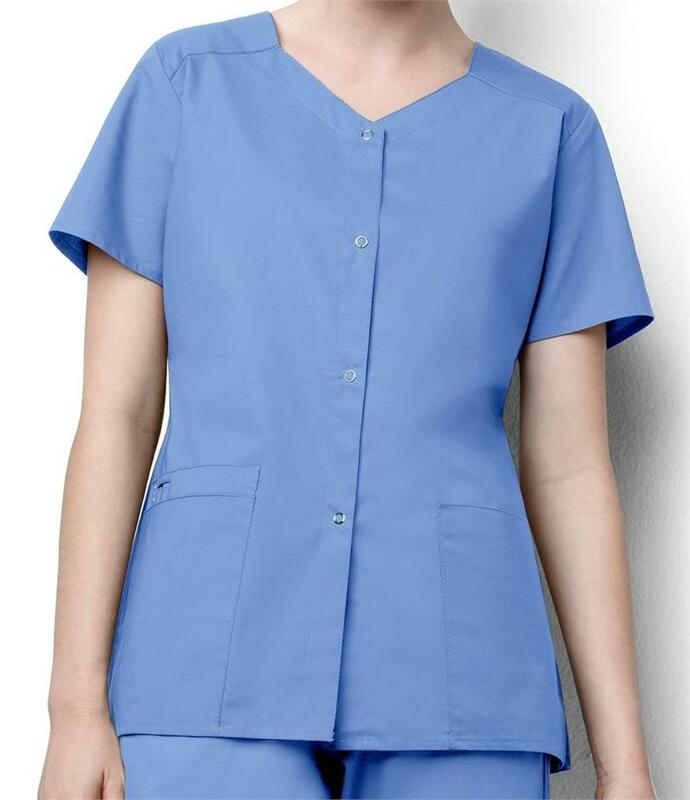 Center back length is 27.75".